When Ariana’s Dangerous Woman album came out I fell in love with her. I wasn’t as crazy about her Sweetener album, but oh my god! I am in love with her new Thank U, Next album. It is very rare that I find an album in which I like each of the songs, (I think there have been less than 10 in my entire life). Her song ‘Ghoustin’, makes my chest hurt because you can tell it’s about her ex who died. Obviously, ‘7 Rings’ is a huge hit. Even my best friend likes that song and he doesn’t really like Ariana! I think my favourite song from the whole album has to be ‘Break up with your girlfriend, I’m bored’. I have no idea why! But I love it and it loved it even more after seeing the music video. If you’ve been reading my blog since last year, you might know that Ariana Grande is one of my heroes. I think she is incredible, not just vocally but as a person. What she did after the Manchester Bombing was incredible and her openness about her mental health problems is inspirational. She is currently killing it with her career and I can’t want to see where she takes her music next! Since January I have been on a physical, mental and spiritual health journey and one of the things I wanted to do this year was to be more vegan. (I didn’t want to overwhelm myself with the task of becoming vegan, so, for now, the aim is to be MORE vegan). One of the main reasons why I had never done this before was that I didn’t know where to start. I have struggled with my eating habits in the past and I didn’t want to trigger another relapse. But I knew I wanted to at least try. I looked online for hours! I mean hours! At all kind of vegan subscription services, but a lot of them were either really expensive or only available in the US. But then I came across The Vegan Kind. Their boxes were under £14 (including P&P) and their boxes looked fun and full! I thought, what the hell, and ordered one. I will do a full post dedicated to this company and their subscription boxes in the near future, but I am currently on my third box and already I have cut pretty much all non-vegan snacks out of my life. The boxes give me the opportunity to try snacks I know I wouldn’t normally pick up to try. And then you can go onto their app and add that product to your favourites so you can repurchase it! Completely in love with this company! (Not sponsored). Check them out here! I wouldn’t say I watch a great deal of TV. I prefer to spend my time watching Youtube. However, I do like the spend a Sunday curled up under a blanket writing, with Netflix playing in the background. My new favourite show is ‘Grace & Frankie’. It’s about two women in their 60’s whose husbands come out as gay lovers. The men move in together and Grace and Frankie (the wives) end up moving together as well. Each episode follows them trying to work out what to do with their lives after their marriages broke apart and you see their friendship blossom. It is so funny and there are moments that are really feel good! It is very easy to watch and I would highly recommend if you’re looking for some light watching. With my busy schedule, I always found it really hard to find time to read. Which is why I love Audible (again, not sponsored). I have got through so many books since signing up to Audible because I can listen in the car on my 2-hour commute to work every morning and I can also have it playing when I am doing mundane tasks at work, like stapling and organising files. 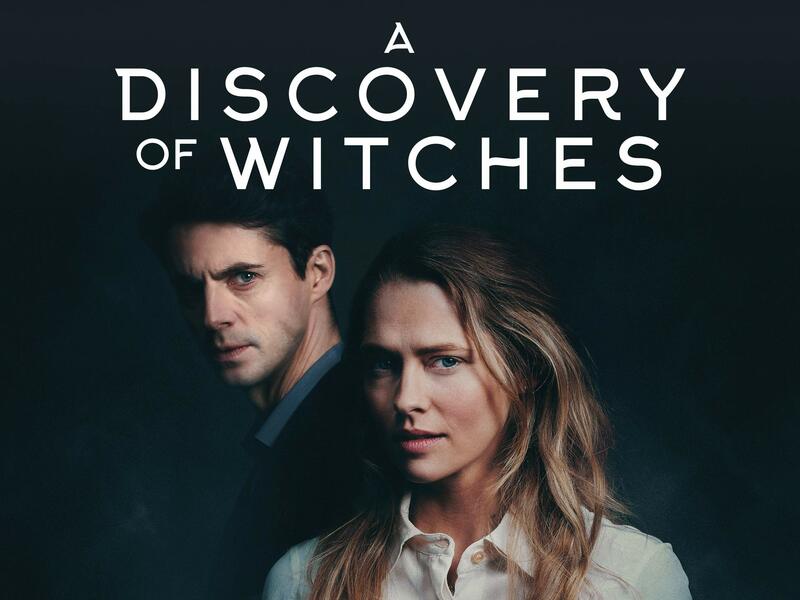 One book I have recently finished and really enjoyed was ‘The Discovery of Witches’ by Deborah Harkness. I’d seen the TV adaptation with my mum and thought I would give the book a try. It has to be said the TV adaptation did the book justice, but the book has a much deeper story, to the point it actually very different from the show. Never the less, I really enjoyed the story and as soon as it was finished I went onto Audible and purchased the next book in the series! I have been following Kate Flowers for a few years, but it wasn’t until the beginning of 2019 and the start of my health journey that I really started paying attention. For those of you who don’t know. Kate is a Youtube who makes videoes about the vegan lifestyle but unlike other vegan Youtubers (cough, FreeLee, cough), she is actually a lovely person and is a joy to watch! Her eBooks, are full of delicious vegan recipes that I have been trying out over the last few months and I have to say, I am IMPRESSED. Who knew vegan food could taste so good! I feel like, having someone like Kate Flowers to inspire me and give me tips about becoming vegan, I might actually be able to do this change! Plus, Kate is an open advocate for the LGBT community. As someone who has also just recently come out as Bisexual, I really feel connected to her videos right now! On the very slim chance Kate reads this; thank you! You’re videos, eBooks and even your Instastories, brighten my day! So those are my favourites from the winter season! Let me know in the comments what things you enjoyed over the winter!